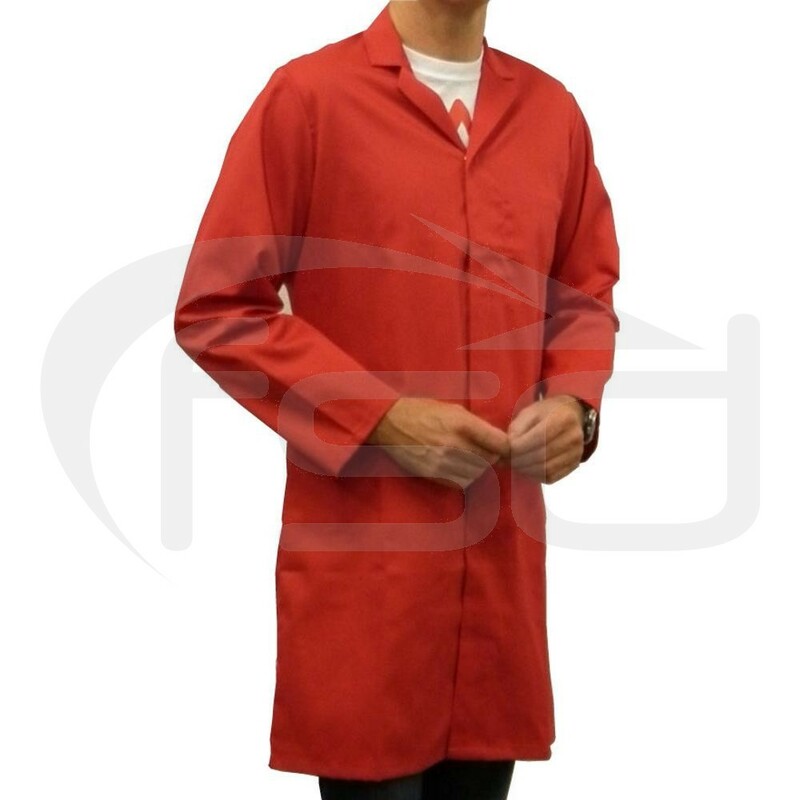 Excellent quality unisex Red food trade / warehouse coat. New, end of line item. Ideal for use in food factories, butchers, catering establishments and laboratories. Made from 245gm (7.25oz) polyester cotton. No external pockets (one internal breast pocket) and feature concealed front stud fastening and centre back vent.